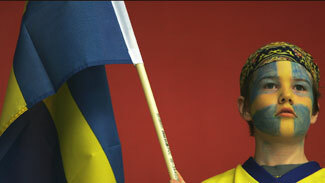 Experience will be a major factor for Sweden as it attempts to defend the gold medal won four years ago in Turin, Italy. Sweden named its provisional roster for the 2010 Games in Vancouver Sunday afternoon and 13 of the 23 players were part of the Tre Kroner team that defeated arch rival Finland to win the gold medal in 2006. Starting goalie Henrik Lundqvist of the New York Rangers and backup Stefan Liv are back, as are defenseman Niklas Kronwall and Nicklas Lidstrom, both from the Detroit Red Wings, and Tampa Bay's Mattias Ohlund. Up front, coach Bengt-Ake Gustafsson welcomes back Ottawa's Daniel Alfredsson, former NHLer Peter Forsberg (now playing for Modo in Sweden), Detroit's Tomas Holmstrom, Columbus' Fredrik Modin and Samuel Pahlsson, Vancouver's Daniel Sedin and Henrik Sedin and Detroit's Henrik Zetterberg. Unfortunately four of that baker's dozen are currently on the shelf with injuries and may not be available in mid-February. Injury replacements are allowed until Feb. 15, when final rosters are registered with the IIHF. No replacements will be allowed, for any reason, after that date. Alfredsson, the Senators' captain, separated his shoulder this week and will be out four-to-six weeks. Kronwall, meanwhile, suffered a knee injury in late November and could be gone for another month. Zetterberg separated his left shoulder on Dec. 18, but is expected back in the first week of January, barring any setbacks. Forsberg joined Modo, his hometown team, this season as he attempts another comeback from the foot injuries that have plagued his career. Team Sweden also has added some firepower among the 10 players who will be making their Olympic debuts, although some surprising names were left off the roster. Detroit's Johan Franzen, currently injured, and Vancouver's Mikael Samuelsson did not make the team. Sweden has added just four players to an already impressive forward lineup, but the quartet of Nicklas Backstrom, Loui Eriksson, Patric Hornqvist and Mattias Weinhandl can certainly hold their own. Backstrom, the Washington Capitals' top-line center, has 45 points, just four fewer than Henrik Sedin, who leads all Swedish-born NHLers in scoring. Eriksson, a surprising pick because of his lack of pedigree with the national program, has 35 points and is one of the primary offensive weapons for the Dallas Stars. Nashville's Hornqvist is red-hot and has 11 goals and 8 assists this season. Weinhandl, meanwhile, left the NHL for the KHL and is among that league's top scorers, putting up 38 points in 37 games for Dynamo Moscow. Sweden's defense will look markedly different this time around as only Lidstrom, in his fourth Olympics, Kronwall and Ohlund return. They will be joined by an impressive group of newcomers, even though Tampa Bay Lightning rookie Victor Hedman did not make the team. Offensive-minded Tobias Enstrom of the Atlanta Thrashers headlines the list of newcomers, which also includes heavy-hitting San Jose Sharks defenseman Doug Murray, Buffalo Sabres veteran Henrik Tallinder and New Jersey's Johnny Oduya. Magnus Johansson, who had brief stints with Florida and Chicago in the NHL, now captains Linkopings HC in the SEL. In goal, Lundqvist, the star of Sweden's gold-medal run four years ago, will once again be the starter. He has a 2.42 goals-against average and a .922 save percentage for the Rangers this season. Lundqvist will be backed up by Stefan Liv, one of his backups in Turin, and Toronto rookie goalie Jonas Gustavsson, who has battled injuries throughout his first North American season. Gustavsson, who was a star in Sweden last season, got the nod over Atlanta veteran Johan Hedberg, who had better numbers.